In this significant year, the centenary of the Gallipoli landing, many of us will begin to wonder if our ancestors were involved in the First World War. But how and where should you start your research? 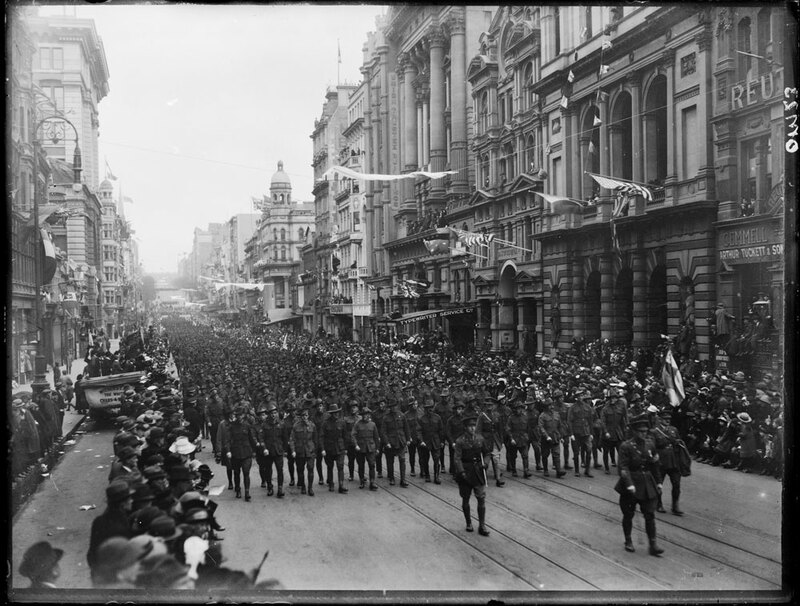 Penny Edwell from World War One Link has some helpful hints and tips on how to research your Great War ancestors. Image courtesy Australian War Memorial, ID ARTV00822. The best thing to have when you start out searching for your World War One ancestors is their surname and their military service number. Knowing their service number will help particularly if you are searching for information on an individual who has a common surname. Nominal Roll: A roll of names created by the AIF of servicemen and women at the end of the war. The listing contains details such as service number, the unit a person was attached to at the end of their service and the dates of their enlistment and discharge/death. The roll is alphabetical and you can search by surname, but as it picks up on the first and last name on each page (rather than all of the names on a page) you may have to scroll through to find the page your serviceperson appears on. As with the Embarkation Roll, not absolutely everyone is listed here. Once you have a surname and service number, head to the National Archives of Australia (NAA) for the personal service record. This is the most comprehensive source of information on a person’s service. Go to The National Archives of Australia and under the heading ‘The Collection’ click ‘SEARCH THE COLLECTION’, then ‘RECORD SEARCH’. A search using surname and service number will take you directly to their service record. Click ‘VIEW DIGITISED RECORD’. The personal service record will tell you the dates of enlistment and discharge, ships sailed on, any medical issues, time spent in hospital, medals awarded, promotions and the different units in which a person served. In general these records run to about 20 pages for army personnel, but are often longer. Navy personnel records come in the form of index cards that generally only offer two pages of information. If you are having difficulty understanding military terms or acronyms, the Australian War Memorial has a handy glossary to assist. Frederick James Lee. Image courtesy State Records South Australia, ID GRG26/5/4/433. Click image for link. For additional biographical information you can try the Honours and Awards database at the Australian War Memorial which contains records of recommendations, and of gazetted honours and awards. It is worth remembering that not every recommendation ended in the award being granted, and that some of these records (particularly the Military Medal and Mention in Despatches) generally only provide a short explanation, often only one sentence in length. During the war the Red Cross started investigating, on behalf of families, the fate of missing men. The Red Cross Wounded and Missing archive is full of eyewitness statements about the last known whereabouts of missing service personnel. Despite the fact that they can be quite contradictory, these records are full of personal insight and interesting detail. Image courtesy of Australian War Memorial, ID H99.100_67.